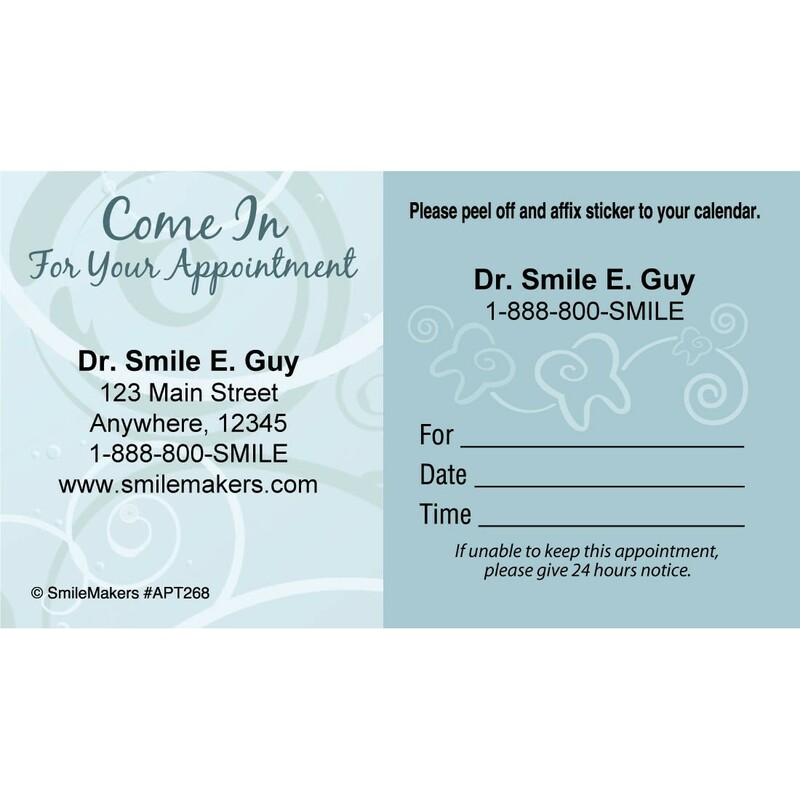 Appointment Cards with the same design and personalized imprint qualify for quantity discounts. 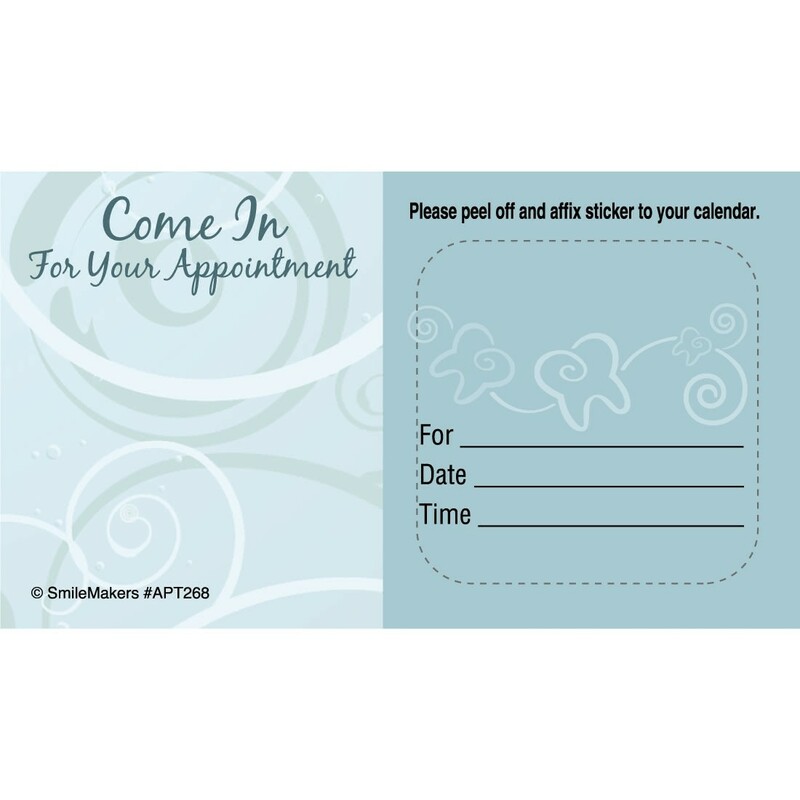 Cut missed appointments with a convenient Custom Come in Swirls Appointment Cards! Each appointment card uses our Peel 'n Stick design, giving patients a sticker with their appointment information that is the perfect size to place on a calendar or in a planner! Each card is printed on heavy cardstock and supports space for custom imprints on the sticker and the card itself. Imprint area on sticker is 1 1/4" x 1/4". Imprint area on card is 1 1/4" x 11/16". Available with or without the 24 hour, 48 hour or no appointment message. Allow 2 weeks delivery after art approval. Orders with different imprints or designs cannot be combined for quantity discounts.